Atlas Construction is a peerless technical builder with a passion for only the best results. 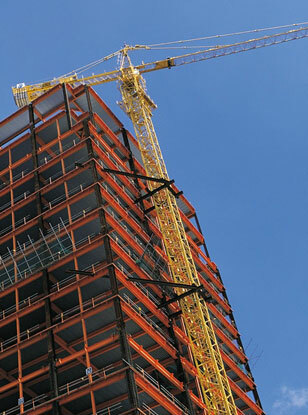 At Atlas, our ability to understand and appreciate our client's needs, along with our commitment to honesty and good business practices has helped establish us as one of the premier construction companies in New York. Leading expertise and vast resources give us at Atlas the ability to intricately manage, execute, and oversee the completion of any project; ranging from the minute and exceptionally detailed to the enormous jobs so common to New York. Our unquestionable accountability, along with our proven expertise and synergetic approach allow us to provide our clients with the highest level of quality service on all projects. Integrity - As we operate in an intensely competitive environment, we compete fairly, conducting our business in a professional manner that reflects the values of our company and of each of it's employees. Respect – We are, fair and forthright, treat others with dignity and appreciate even the most minute differences between our individual client's needs. Accountability – Our performance expectations are high therefore we hold ourselves accountable for the quality of our work and are recognized for the results we achieve as individuals, as team members, and as a company.